Todd Moore spends three to five hours a day listening to podcasts. 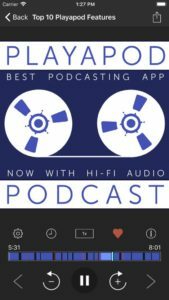 “I’ve never really been happy with the existing podcast apps,” he said. That’s where the idea for Playapod, a cross-platform syncing podcast app, came in. The app, created by Moore through the Crystal City-based TMSOFT, best known for its white noise app, is compatible with all Android and iOS devices and is available to download from the Google Play Store, Apple App Store and the Amazon App store. The app launched last week. One podcast-playing problem that bothered Moore was the inability to sync podcasts across different devices from different platforms. Another issue was the difficulty of relocating where someone left off listening to a podcast. “Something that frustrates me with all audio playback app, like even Amazon’s audio books, they never show you what you’ve listened to,” he said. That made it easy to lose place in a podcast if, for example, the user accidentally touch the wrong button. On Playapod, users can see exactly where they left off if they lose their place through the precision progress bar. Users can also bookmark the most-recently played portion of a podcast for future playback, said Moore. Playapod is free and has no advertisements. 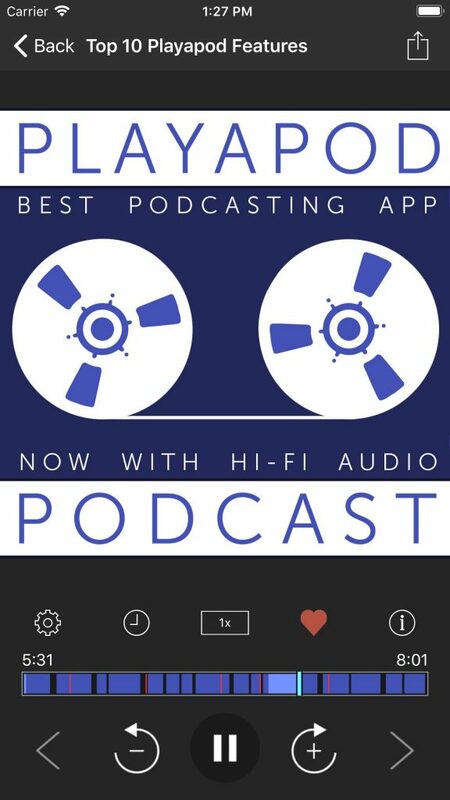 Another feature includes the ability to download podcasts so users can listen offline. Playapod may have some big shoes to fill against its competitors at Apple and Amazon, but Moore said he’s not concerned. “I think if people try Playapod, they’re going to see a better feature set. I think they’re going to enjoy this type of listening experience, and I’ve spent a year on this, so I’m a little biased,” he said.